COMPACT, Saudi composite film manufacturer, improves processes and capabilities and meets growing demand for high-quality printing. COMPACT installed a new high-quality rotogravure printing, and coating and laminating machine to continuously provide superior quality and effectively satisfy customer needs. The new rotogravure machine at COMPACT’s Dammam-based plant is designed to print on plastic, paper and foil. COMPACT manufactures a wide range of mono-layer, laminated and coated film structures for the food and beverage, industrial, pharmaceutical, paramedical, personal and home care sectors across Europe, the Middle East and Africa. With automated color-matching and roto printing, COMPACT enhances composite film packaging products. COMPACT’s new web-fed printing press offers less set-up time and superior speed, generating higher output. The state-of-the-art, user-friendly gravure printing technology improves productivity. The machine increases efficiency by reducing time and material waste through an advanced register control system, as well as minimizing set-up and start-up time, and waste of jobs. 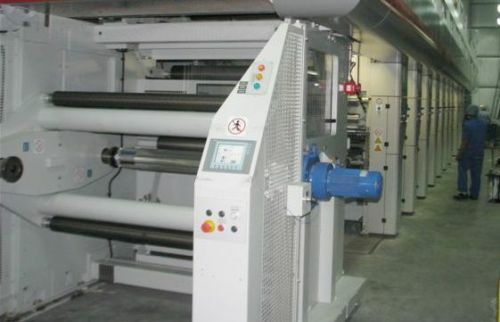 Furthermore, the rotogravure printing press provides high print quality on paper and plastic. The rotogravure machine, compatible for hollow and shafted engraved cylinders, runs at a speed of 450 m/min and prints in up to 9 colors with print surface going up to 1000 mm. The machine utilizes thermo oil for drying to assure temperature stability during run on high speed, and is equipped with electronic shafts on all stations. Rotogravure printing press meets quality printing requirements for film, foil, paper, board, laminates of varying thickness, and liquid packaging.